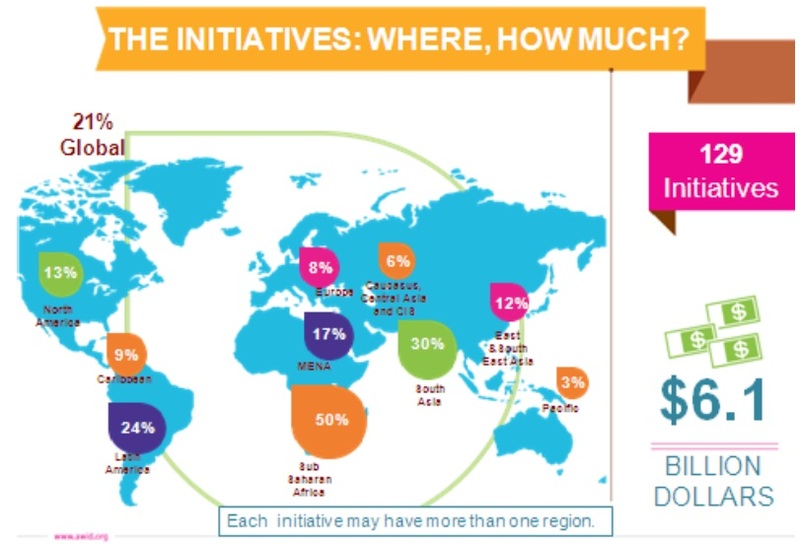 Investing in women and girls as ‘smart economics’ has become a favoured strategy in development and philanthropy over the past several years, resulting in a host of campaigns and initiatives—including from actors in the private sector that had not previously been seen as “development” players—dedicated to supporting girls and women. With AWID’s long history in research, analysis and advocacy around resources for women’s rights organizing, we sought to understand how this trend was impacting women’s organizations, given the important role they play in advancing sustainable, long term change for women around the world. Building on the latest Where is the Money for Women’s Rights report, “Watering the Leaves, Starving the Roots,” and as part of a three part interrelated research series on women’s rights organizing, the purpose of this report is to contribute to filling a gap, particularly among women’s rights organizations, in understanding the current landscape of the corporate sector and other actors that are new to supporting women and girls, and the role they are playing in shaping related funding discourse and practice. 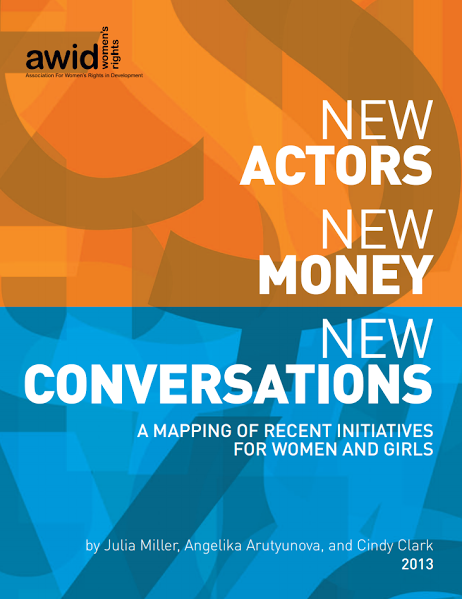 This report is not an exhaustive account of these actors’ involvement in development funding, but it unpacks some of the most visible trends impacting women and girls – the ‘tip of the iceberg’ as it were – and offers important considerations for women’s rights organizations interested in influencing and engaging with these trends. 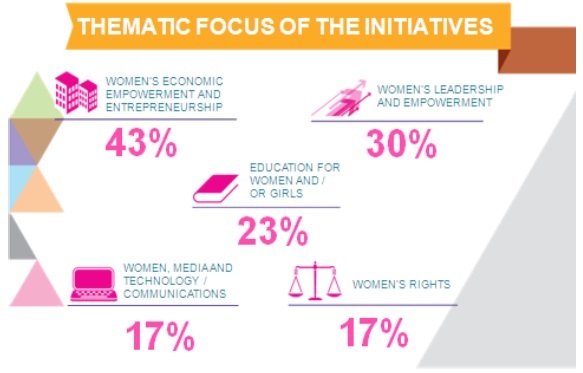 Increasing public-private partnerships, more formal demands for a private sector role in development cooperation, and expansion of corporate social responsibility practices, including through diverse models of building “social enterprises”, are converging with significantly increased visibility of stories and studies on supporting women and girls. A related trend is the shift from ‘aid to investment’ – i.e. the proliferation of investment and business solutions to social and development problems. Similar shifts are apparent in corporate social responsibility practices – previously centered in separate philanthropic departments, these practices are increasingly considered part of corporations’ overall business strategies in the countries where they operate. In addition to direct involvement in development agenda-setting, corporate actors see themselves as leveraging their advantage through market power and value chains to create innovative solutions for women and girls. Similarly, investing in women and girls as ‘smart economics,’ as a way to end poverty and drive long-term growth and prosperity, has become a favoured strategy in development and philanthropy over the past several years on an unprecedented scale. Today, a host of campaigns and initiatives – including from corporate sector actors that had not previously been seen as “development” players – are dedicated to supporting women and girls. Our latest global survey of women’s organizations found that for 2010, a sample of 740 women’s organizations had a median annual income of just USD 20,000 – a result that, consistent with our past research, confirms that most women’s organizations are significantly underresourced given the enormous challenges their work aims to address. 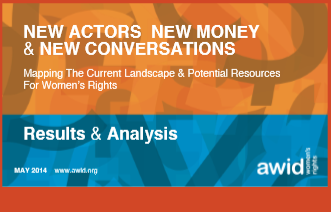 We also found that only 0.3% of women’s rights organization in the sample receive funding from corporate donors directly, which was an impetus for us to try to understand how these new players could impact or reach those women’s organizations, and whether recent trends might point to a shift in that direction. With that in mind, and in an effort to better understand who was involved and what drove this strong new interest around women and girls, AWID, in partnership with Mama Cash and supported by the Dutch Ministry of Foreign Affairs, embarked on a collaborative research effort. Reflected here are the results of a mapping of 170 initiatives, of which close to 150 had public data available. From this mapping, we found a total of USD 14.6 billion in commitments pledged between 2005-2020 to support women and girls. We encourage you to present this report to your colleagues and partners and use it as an advocacy tool for high quality funding for women’s rights organizing. The following presentations contain key facts and visuals from our report. The PowerPoint version also contains speaking points for each slide. How is Support Being Dispursed?